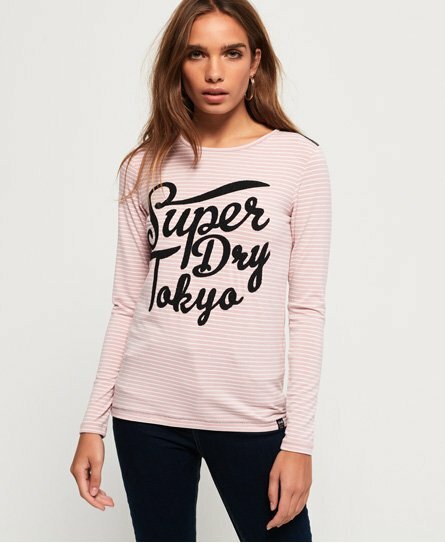 Superdry women’s Amelia sparkle graphic top. Top up your stripe collection this season with this flattering long sleeve top. The Amelia sparkle graphic top features a large textured Superdry logo across the front, a crew neckline and a Superdry logo tab on the hem. Pair this top with your favourite jeans or tuck it into an A-line skirt for a classic effortless look.